Live in San Diego long enough and you’ll realize that you can’t throw a ninja star without hitting a sushi restaurant in this town (note: please don't go around town indiscriminately throwing ninja stars). The trouble is filtering through a sea of so-so California rolls to find the sweet spots. Next time you have a hankering for wasabi, here are the eight SD sushi restaurants you need to let take care of you. You normally wouldn’t expect to find amazing sushi in a strip mall tucked between car dealerships and a 7-Eleven, but that’s what makes Sushi Ota a hidden gem. Despite the unspectacular location, it's usually packed (okay maybe not THAT hidden), so unless you like hanging out in parking lots, make a reservation. You can order rolls if you want, but what they’re really known for is their spot-on, fresh sashimi and some of the most reliably delicious uni in town. 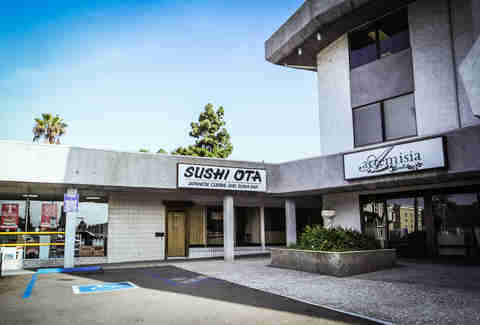 In true OB fashion, The Joint is doing something a little different -- serving a long list of legit sushi and specialty rolls in addition to a tapas menu that has absolutely nothing to do with Asian fare. 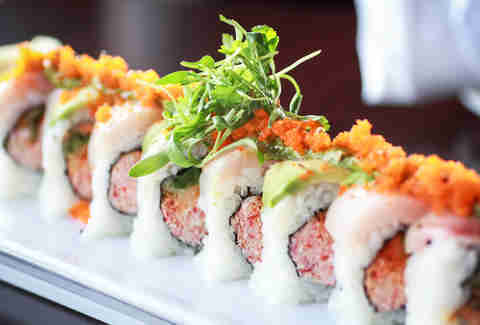 No matter what kind of sushi you like, you’d be hard pressed not to find something you love on their list -- like the tuna poke (above) or the Bomb-A-Licious roll full of spicy crab and tempura shishitto peppers topped with hamachi, avocado, micro cilantro, habañero, masago, and cilantro pepper sauce. 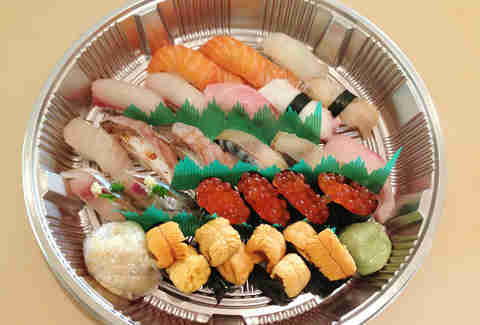 In a neighborhood where everything is typically overpriced, Shiku's standout sushi comes with a bonus of solid value. You can’t beat the happy hour roll specials, hot sake for just a buck, and their specialty roll menu with cleverly named options like the I’m So Baked roll made with crab, tuna, and cream cheese wrapped in white fish and topped with lobster and jalapeño, then baked with a garlic crab dynamite sauce. If you’re looking to try something really new, the guys who own Love Boat Sushi just opened this spot in Carlsbad, combining skewered meats and veggies cooked on a robata grill with some unique specialty rolls, like this concoction of soft shell crab, avocado, more crab, and rice baked in a puff pastry. 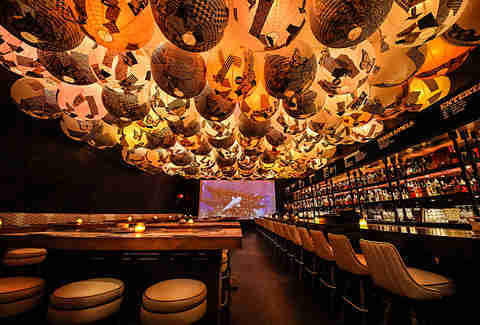 Their bar holds a selection of Japanese whisky, sake, a craft cocktail list, and a few sake bomb options, one of which is made with 151. At Café Japengo, not only can you dine on an award-winning selection of sushi like the Summer Roll made with spicy crab, broccolini, grilled shrimp, and avocado on the inside and salmon, lime, and sweet ponzu on the outside -- you can learn how to make it yourself. 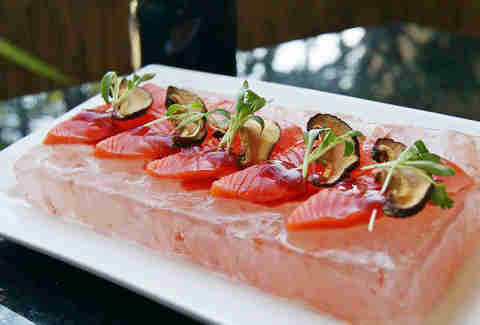 Executive Chef Jerry Warner has been around since the place opened over 20 years ago, and offers a hands-on sushi making class once a month. 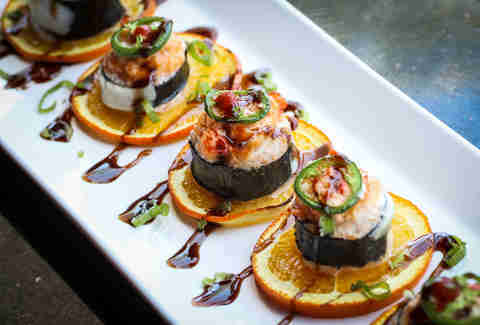 Old Town isn’t exactly the part of SD you’d think to visit when a sushi craving hits, but nestled amongst the Mexican restaurants is a little place serving some of the freshest traditional Edo-mae style sushi in town. They’re only open for dinner and the place is small, so reservations are definitely advisable. 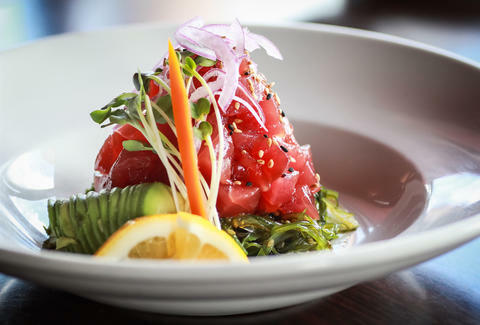 Harney has been serving San Diegans for over a decade, and with their dedication to serving sustainable sushi, they can tell you exactly where every piece of their seafood comes from. Both locations have a dimly lit bar vibe with a daily food-and-drink happy hour, in addition to a late-night social hour and an all-day Monday happy hour at their Oceanside spot. It's not every day that you get to dance under a massive disco ball, pee in front of Ryan Gosling, and eat pretty amazing sushi all in a night out downtown. 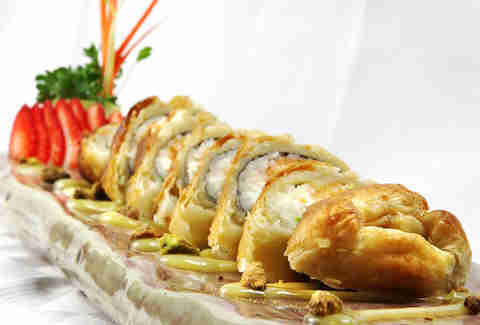 Bang Bang has a great selection of nigiri, sashimi, and a list of specialty rolls like the Hello Kitty (spicy tuna, shrimp tempura, avocado in a pink soy paper topped with bay scallops, tempura flakes, chili aoli, and eel sauce). 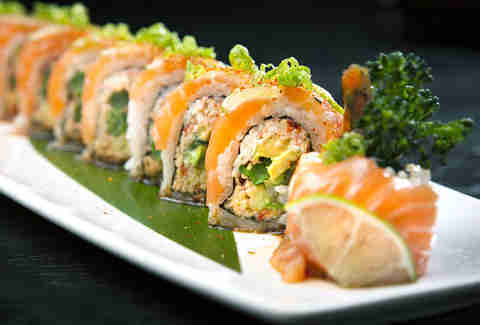 If you don’t like your Bruce Lee roll with a side of party, you can always mellow out in the sushi room.